Use this hitch immobilizer to keep your ball mount or hitch-mounted accessory from rattling and shifting in your receiver. Great for tow bars, high-low adapters, bike racks, cargo carriers, and more. Quick, simple bolt-on installation. 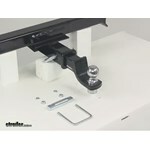 Call 800-298-8924 to order Roadmaster hitch anti-rattle part number RM-061 or order online at etrailer.com. Free expert support on all Roadmaster products. 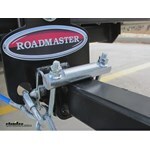 Guaranteed Lowest Price and Fastest Shipping for Roadmaster Quiet Hitch for 2" Trailer Hitches. 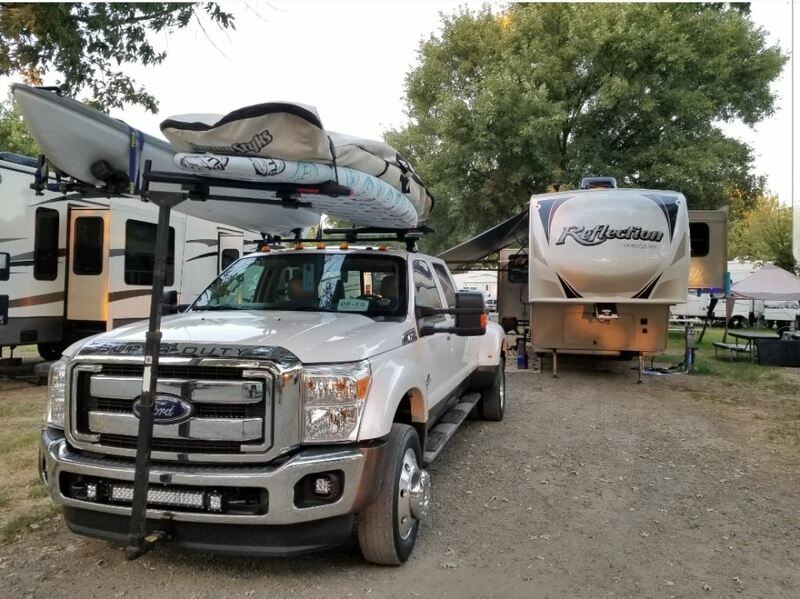 Hitch Anti-Rattle reviews from real customers. Use this hitch immobilizer to keep your ball mount or hitch-mounted accessory from rattling and shifting in your receiver. Great for tow bars, high-low adapters, bike racks, cargo carriers, and more. Quick, simple bolt-on installation. Nearly every hitch setup suffers from a bit of slip. 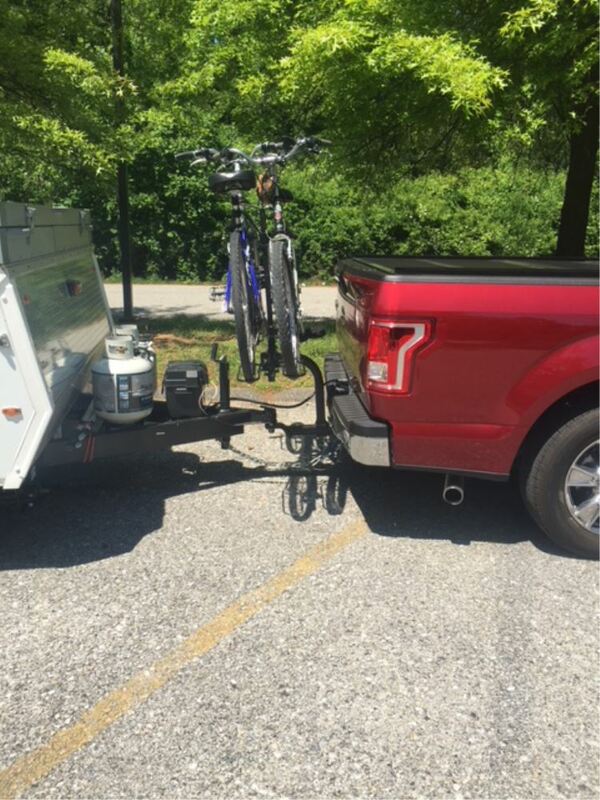 This free play between your trailer hitch receiver and your hitch-mounted accessory is completely normal, but it's also completely preventable. By adding the Quiet Hitch to your setup, you can stabilize your hitch-mounted accessory as it sits in the receiver to eliminate rattle, sway, and all that extra play. 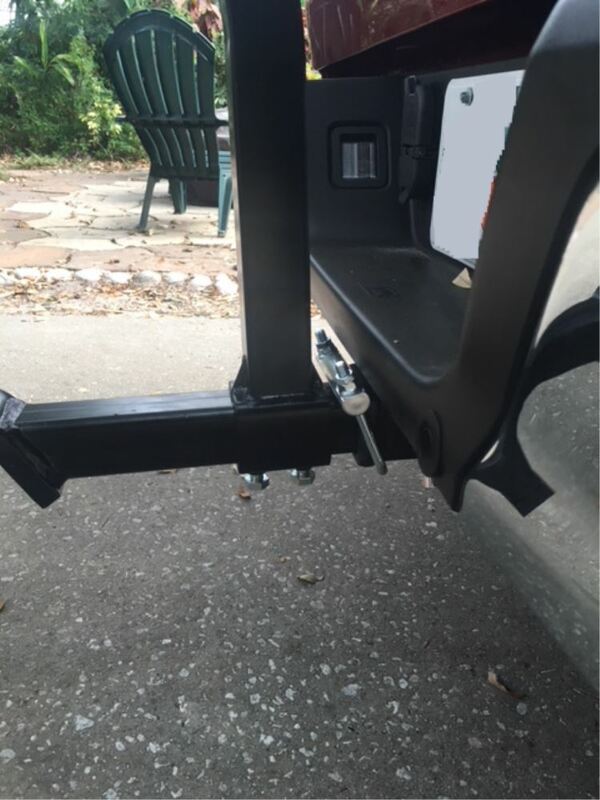 Just slip the Quiet Hitch over your tow bar, hitch adapter, ball mount, or other accessory. 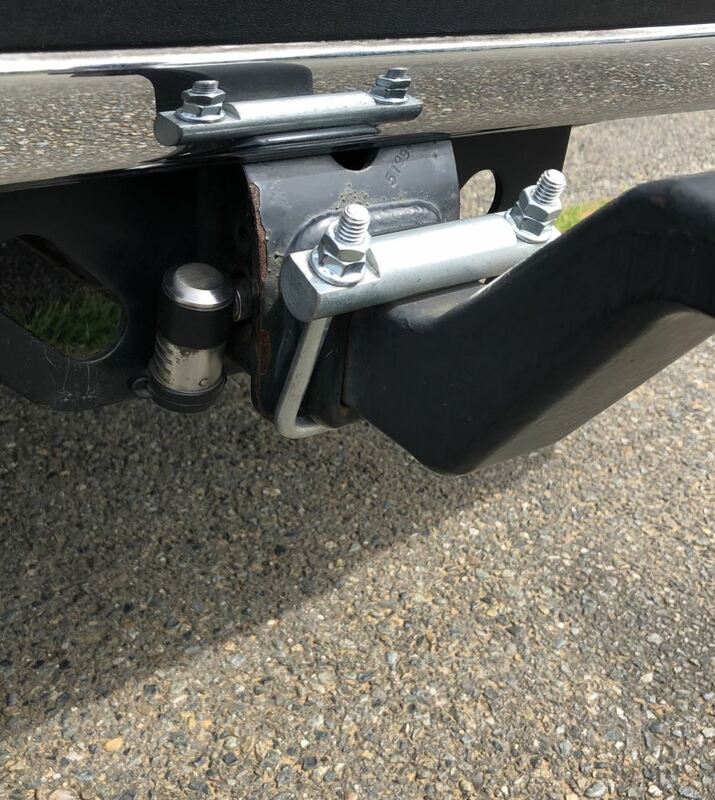 When you slide the accessory into the hitch receiver, position the U-bolt around the collar on the bottom of your hitch receiver. Then place the bar on top of the accessory shank and tighten the nuts onto the U-bolt. As you tighten the Quiet Hitch, the shank of your accessory will be pulled down towards the bottom of the receiver opening, thus securing it in place within the tube. If you are going to use the Quiet Hitch with a weight distribution system, the setup will be opposite. Position the U-bolt around the top of the hitch receiver and place the bar on the bottom of the weight distribution shank. As you tighten the nuts on the Quiet Hitch, the shank will be pulled up towards the top of the receiver to help balance the downward force that is placed on the hitch from the weight distribution system. 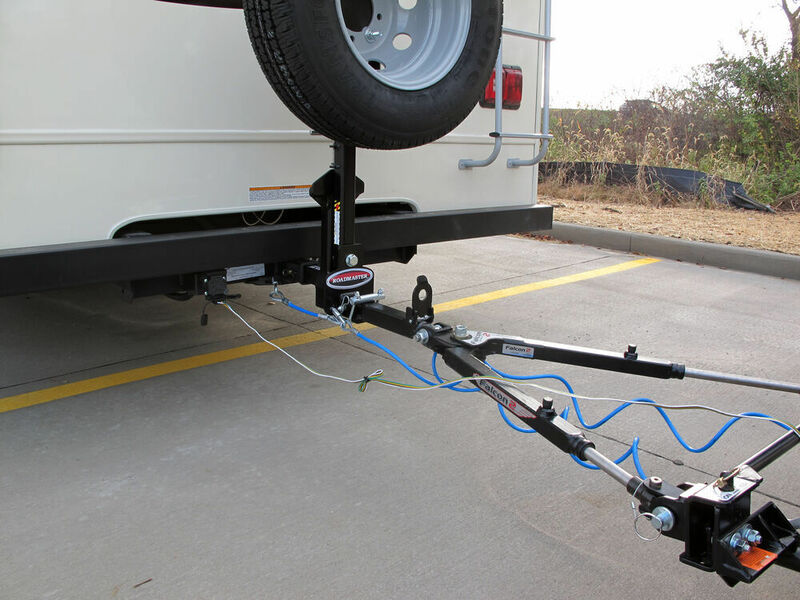 Using an anti-rattle device, such as the Quiet Hitch, is recommended when flat towing a vehicle. Besides reducing wear and tear on your tires, hitch receiver, and tow bar, using an anti-rattle device can help prevent more serious problems. A small amount of free play at your hitch may not seem like much, but this sway is magnified the farther back you go. A little movement at the hitch translates to a lot of movement at the rear of your towed vehicle. By using the Quiet Hitch, you eliminate this sway at the source. 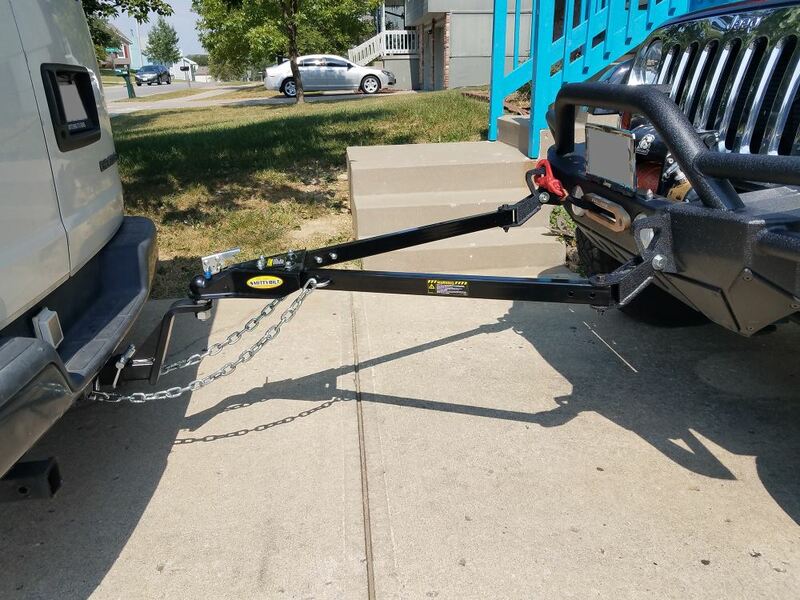 Note: If you have a towing setup that includes a drop receiver or a high-low adapter, use 2 immobilizers to make your system as secure and rattle-free as possible. 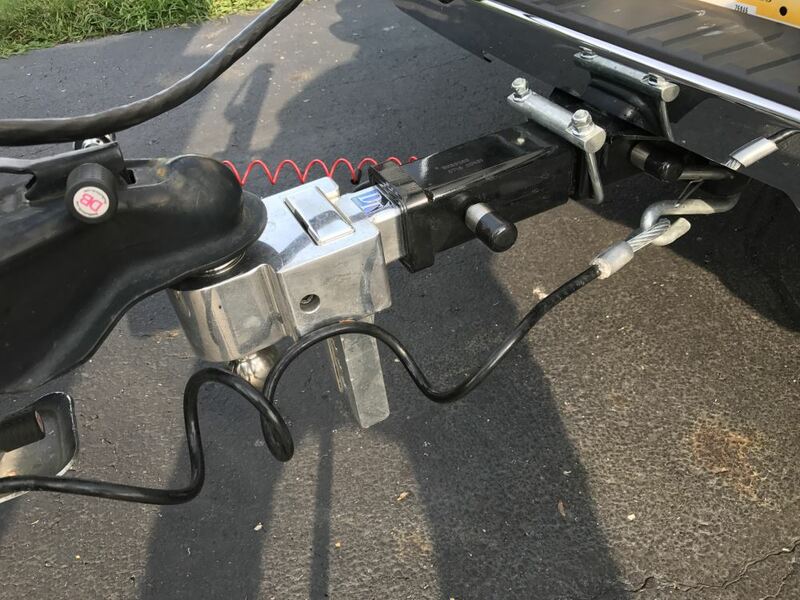 Use 1 Quiet Hitch at the connection point between the adapter and your hitch, and use the other where your tow bar slides into the adapter. 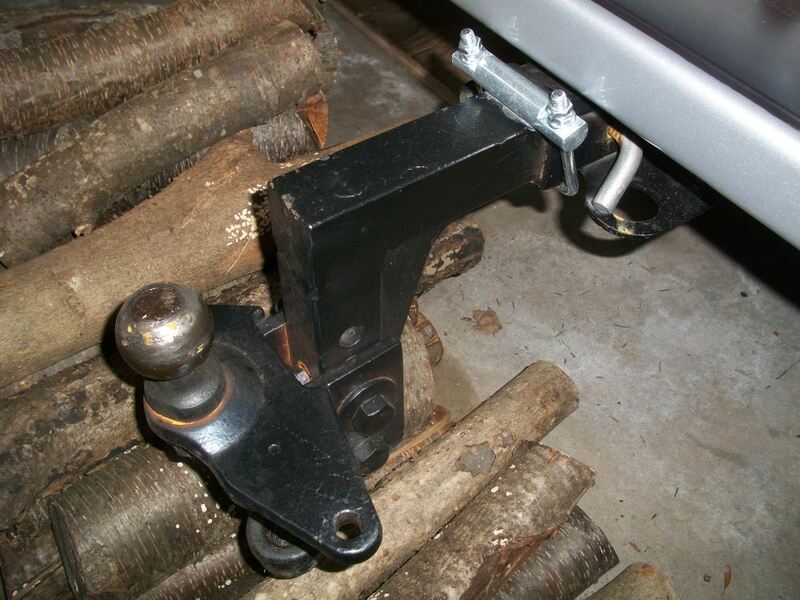 This steel clamp and U-bolt installs on your 2" hitch receiver to stabilize your hitch-mounted accessories. 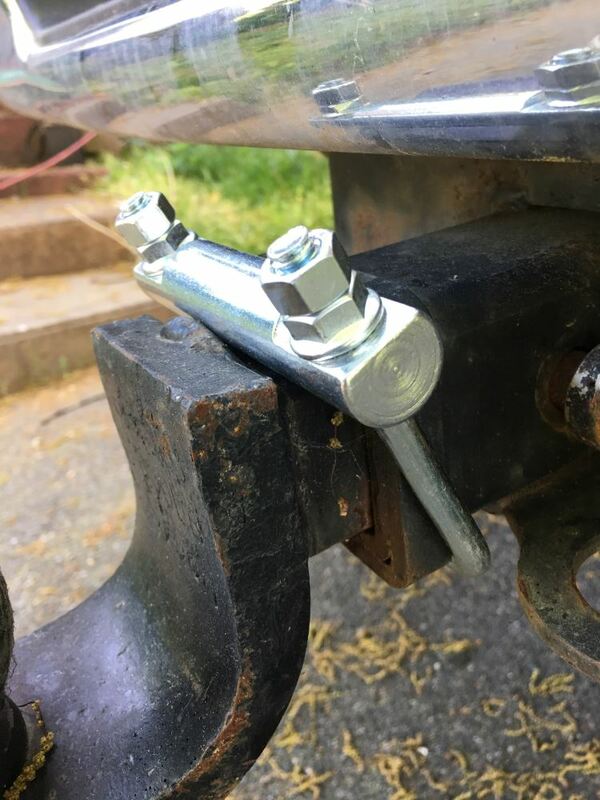 Simply hook the clamp over the lip of your hitch and secure the U-bolt around your accessory using the included nuts to prevent shifting. Use this anti-rattle device to keep your ball mount or hitch-mounted accessory from rattling and moving in your receiver. Quick, simple, bolt-on installation. Simply insert between receiver and accessory, then tighten down with included bolt. 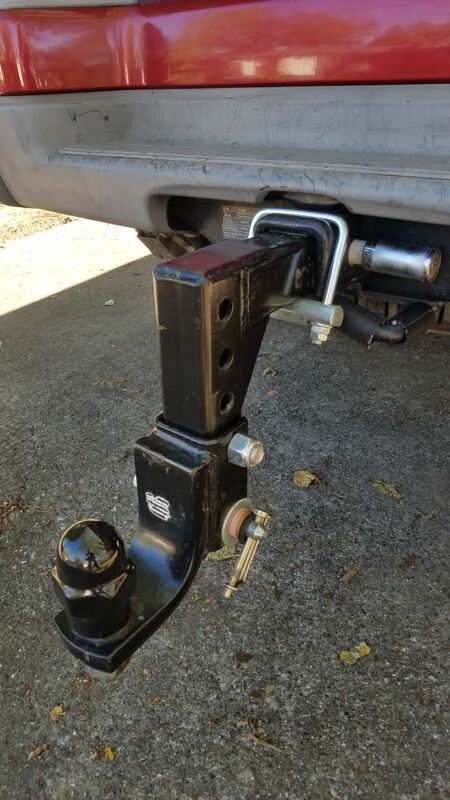 This steel bracket installs on your 2" hitch receiver to stabilize your hitch-mounted accessories. Use the hand knobs to tighten screws at the top and side of the accessory shank to apply horizontal and vertical pressure and prevent shifting. 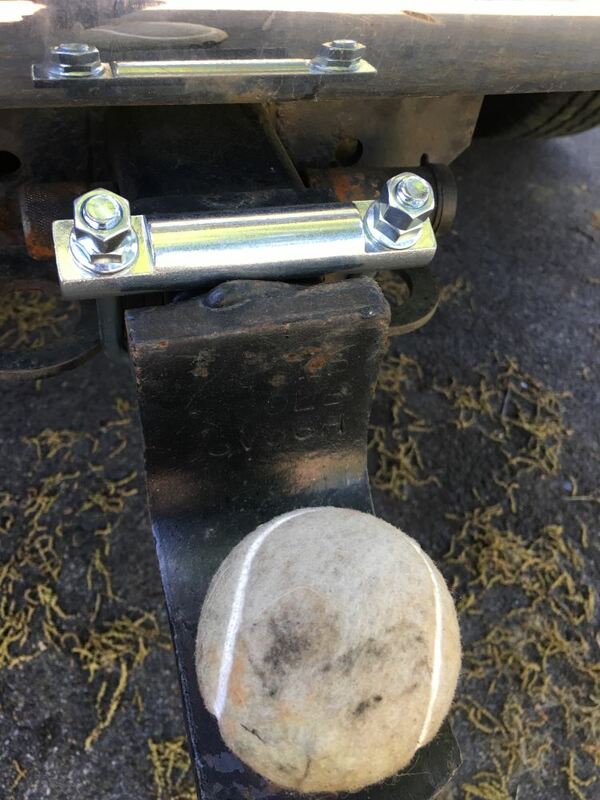 Order: RelevanceNewestRating - High to LowRating - Low to High Use this hitch immobilizer to keep your ball mount or hitch-mounted accessory from rattling and shifting in your receiver. Great for tow bars, high-low adapters, bike racks, cargo carriers, and more. Quick, simple bolt-on installation. I still use it and really like it. It is the best hitch stabilizing device I have ever seen, and at a great price. After a year, my hitch parts are still tight and doing the job of eliminating all wobbles. 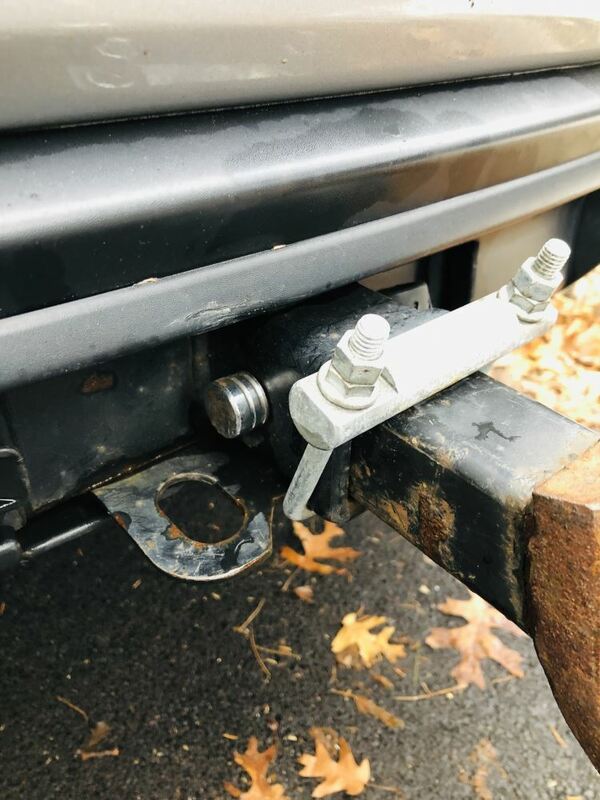 I have since removed the 8 inch hitch extension,so now I only use one, works great, I have mine in the pressing down position, the nuts are facing up, much better than facing down. While I dont use it much, I think it is great, and miss it when I dont take the time to put it on. Ive had my Roadmaster Quite Hitch for a year now and use it several times a month to keep my bike rack from rattling. This item works great and is worth the cost. Thank you! Great I LOVE it. Still does what I bought it for. Have a tight hitch. After a year, Im still very happy with this product. My trailer used to drive me nuts banging around in the receiver. Now its as if the hitch and receiver are all one piece. This simple thing really does the trick. Quiet Hitch has been installed for a year straight and its still as tight as when it was installed. No signs of rust or corrosion and best of all there is no noise. After a year, the hitch rattles slightly more than it did when I first installed it yes, the torque is still proper but still nowhere near as bad as it did before I purchased it. Still using this thing regularly, works like new, no distortion or bends like others Ive tried. Great product! The product failed, Bolts stripped while towing. They work great...we needed an extender due to the spare tire mounted on the back of the jeep to mount a bike rack. Extender works great for that purpose and the anti-tattle piece works great. Thank you for the follow-up. For the most part, the product does what it claimed to do. It does a great job at stabilizing the tow hitch accessory. However, it needs to be stronger. It bends and after it is tightened down, it is not always easy to take back off because of that. It’s great took away that clunk noise. Would recommend to buy. Its been one year. I wish I had more than one hitch in order to buy more quiet hitches. I love this thing! It had been a year since I purchased the quiet hitch. This products amazing to this day. I have yet to have any problems from it. This item stopped the loose slop rattle on day 1. Still works well after one year. Do you have a question about this Hitch Anti-Rattle? To remove the movement in the hitch between the Weigh Safe # WS6-2 and the hitch opening you would need to use a wedge style anti-rattle like the part # RM-061. I attached a review video for this for you to check out as well. The shank of the Curt Dual 2" Receiver Tube Adapter # D-192 is solid so while we do have anti-rattle devices that would work with it we don't have any that are threaded. You'd need to use a U-bolt style device like the Roadmaster Quiet Hitch part # RM-061 which would fit around the shank and hitch tube. I attached a picture that shows this as well. Is Roadmaster Anti-Rattle Device OK to use With B&W Ball Mount? So long as you have a ring or collar like in the accompanying photo, you will be fine using an anti-rattle device such as the Roadmaster Quiet Hitch # RM-061. The Draw Tite anti-rattle device part # 63080 is only tested on Draw Tite hitches so it would not work on your 2018 Toyota 4Runner SR5. For a similar anti-rattle device the Roadmaster Quiet Hitch part # RM-061 would do a similar job and fit well on your factory hitch. I attached a review video for this hitch for more info for you to check out as well. 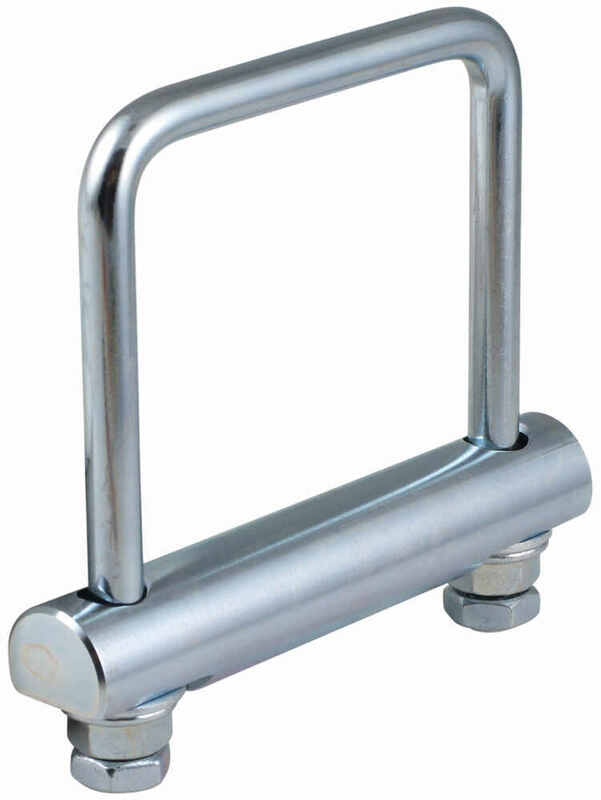 For your Kuat Transfer # TS02B the anti-rattle device/hitch lock you'd want is the part # HLT-013. 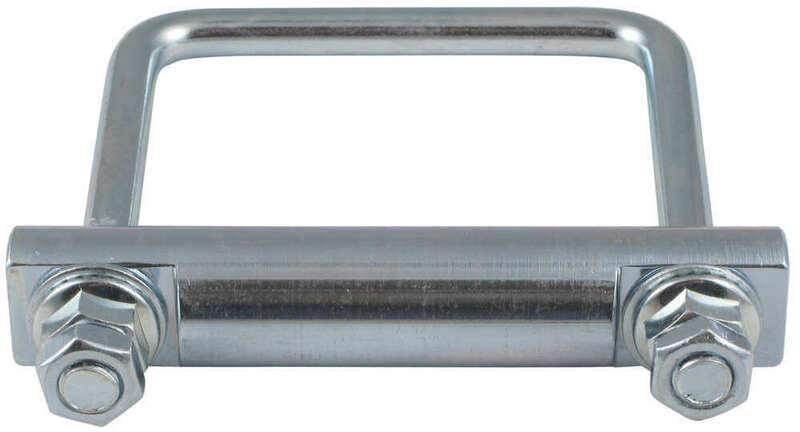 This replaces the hitch pin you have with a threaded one that holds the hitch tight to the hitch tube and also locks it there. A u-bolt style of anti-rattle device would not be your best option. 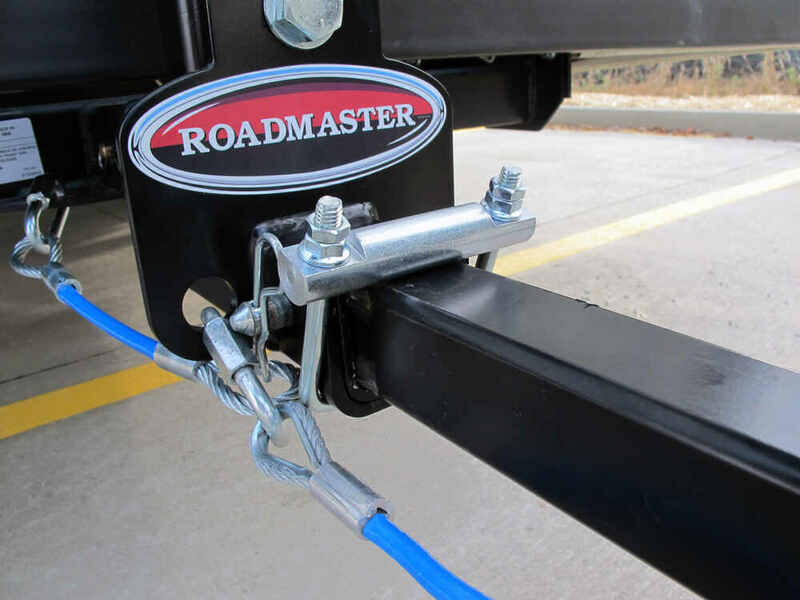 What Material is The Roadmaster Quiet Hitch Made Of? 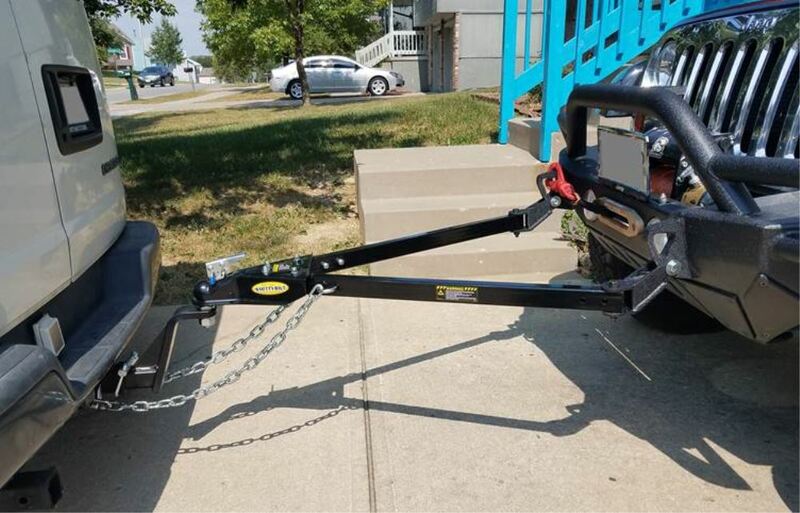 The Roadmaster Quiet Hitch for 2" Trailer Hitches # RM-061 is made of steel and has a zinc plating for corrosion resistance. 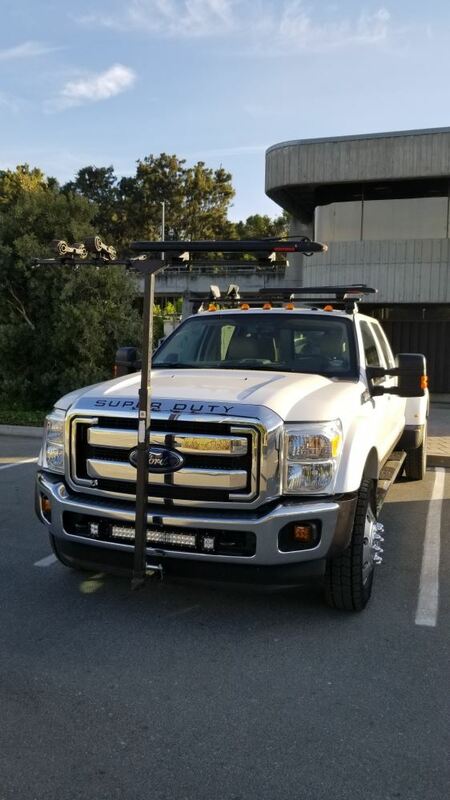 It is designed to work with ball mounts, tow bars, and hitch mounted accessories as an anti-rattle device. The Malone Anti-Rattle HitchLock System MPG908 worked in a similar way but has been discontinued. The Roadmaster seems to be the customer favorite of all the brands. I really like the Roadmaster Quiet Hitch which is part # RM-061 for a 2" shank or part # RM-062 for a 2-1/2" shank. 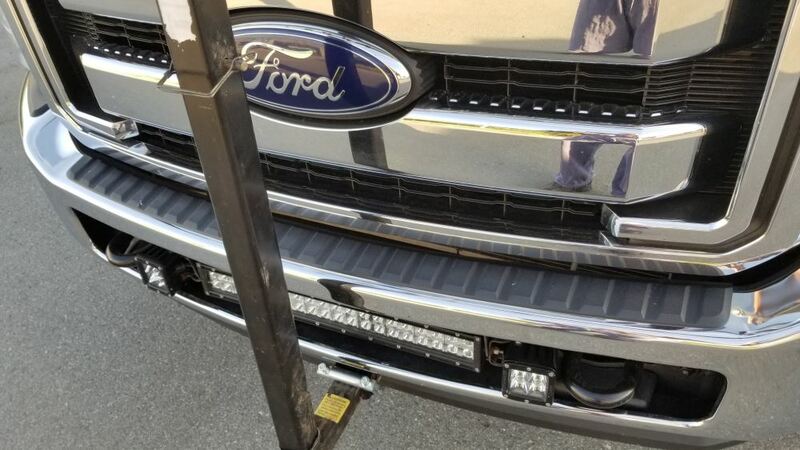 This requires that your hitch receiver have a lip on it (most do) which it uses to put pressure on the shank of your weight distribution system. I have attached a review video for you to check out. 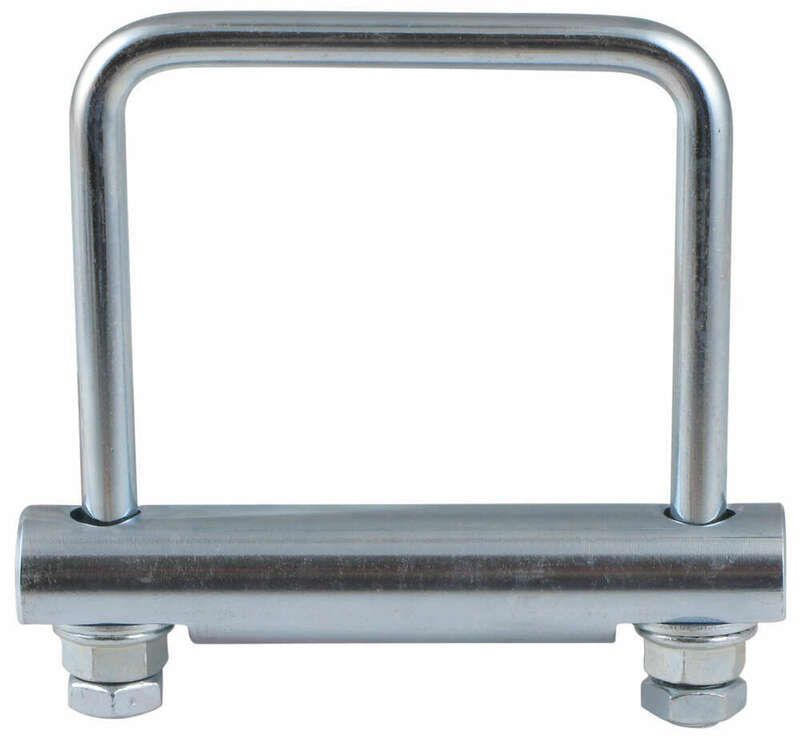 Highest quality hitch anti-rattle for the best price. Most detailed, accurate hitch anti-rattle information available. Perfect !! The right piece , directly in my mail box ! 100 % satisfaction !